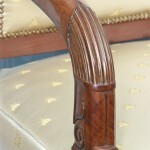 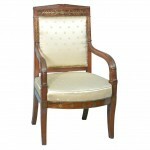 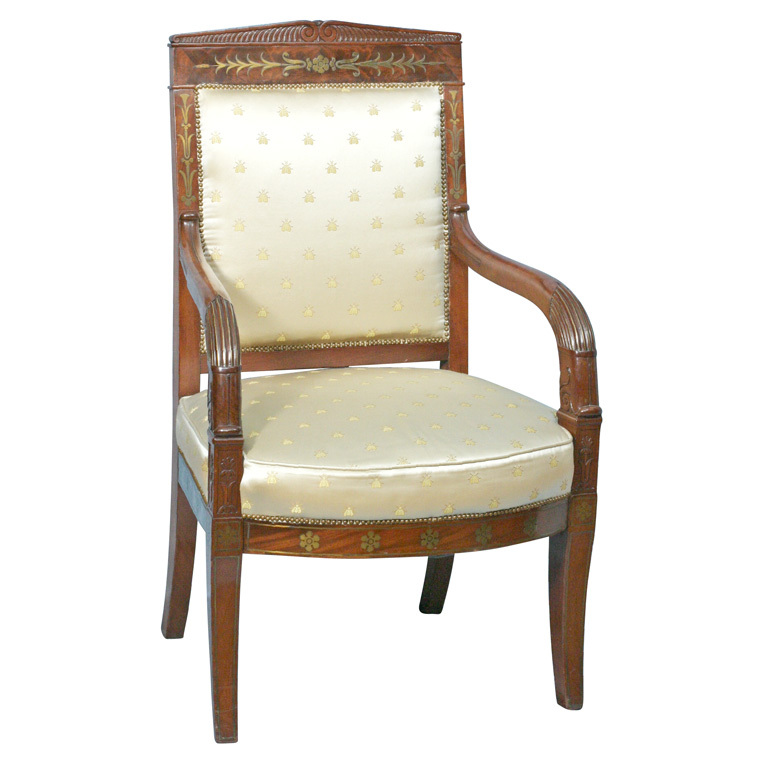 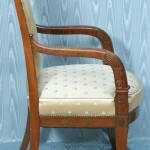 Carved and brass inlaid mahogany French open armchair. 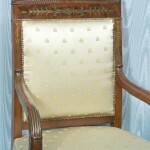 A very comfortable chair with upholstered seat and back. 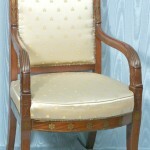 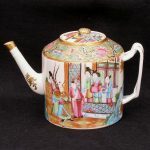 Excellent antique condition. 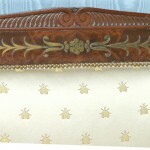 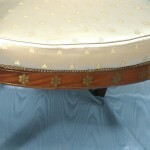 The upholstery appears to be in like new condition.